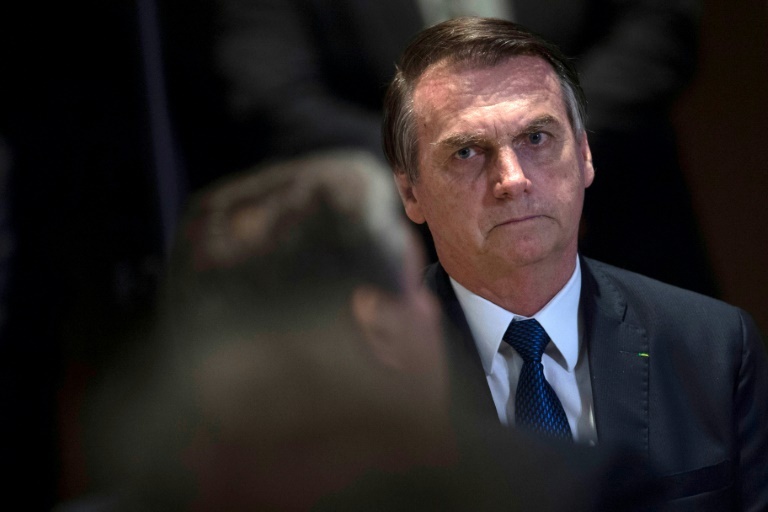 Brazilian President Jair Bolsonaro has been criticized for his environmental policies, especially over their impact on indigenous peoples and the Amazon region. INTERNATIONAL NEWS - New York's Museum of Natural History announced Monday it had canceled a private function booked to take place there that would honor Brazilian President Jair Bolsonaro. The leader, who has been attacked at home and abroad for policies that critics say threaten the environment and indigenous communities, was due to receive an award at the museum from the Brazilian-American Chamber of Commerce. "With mutual respect for the work & goals of our individual organizations, we jointly agreed that the Museum is not the optimal location for the Brazilian-Am. Chamber of Commerce gala dinner," the museum tweeted. The statement was also posted on the chamber's website. Bolsonaro was chosen to receive the "Person of the Year" award from the chamber at a May 14 gala dinner attended by more than a thousand people. Every year, the body selects two people - one Brazilian and one American - to recognize at the sold-out gala. It did not respond to an AFP request for comment, nor has it announced the gala's new location. Following an avalanche of complaints, the museum last week announced it was considering its options over the event. "The external, private event at which the current President of Brazil is to be honored was booked at the Museum before the honoree was secured," the museum tweeted last Thursday. "We are deeply concerned, and we are exploring our options." In an open letter published in the French newspaper Le Monde, 13 representatives of Brazilian indigenous peoples had denounced Bolsonaro's environmental policies, which they said left them on the verge of "an apocalypse". "The government wants to monopolize the entire Amazon, bleed it even more by building new routes and railroads," it said. Since taking office on 1 January, Bolsonaro has rolled back environmental protection laws in favor of miners and farmers.